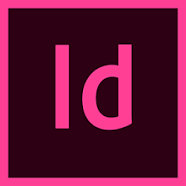 Looking for the best way to translate an InDesign file (.IDML) and haven’t had much luck? As seasoned veterans of the translation industry, we’re not surprised. There are multiple roadblocks people commonly encounter when attempting to translate an Adobe InDesign file. Fortunately for you, we’re going to help. Continue reading to learn the best way to translate an InDesign file so that you don’t need to deal with these common issues. First off, the best way to translate an InDesign file is to stick to professional translation software. This is because these software platforms are more likely to have compatibility with InDesign documents than free translation tools such as Google Translate. While there aren’t many translation software programs that will translate an InDesign file for you, they do exist. What’s more, depending upon the professional translation software you choose, it might include Translation Memory and Dynamic Machine Learning technology. 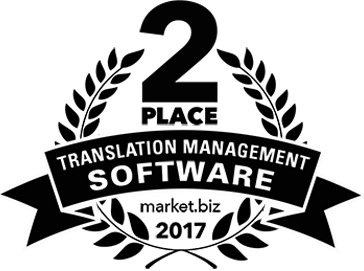 Translation Memory enables you to edit first-draft machine translations and simultaneously train your software so that it learns your company’s words and phrases. This eliminates the need to ever translate the same or similar phrases twice. Not only that, but Dynamic Machine Learning automatically replaces repetitive instances of a phrase within a file and across files, the moment you edit a segment within the Translation Editor. Translation Memory and Dynamic Machine Learning will save you a lot of time and will help you continuously improve your translation quality, the more you use the software. But don’t worry about spending hours comparison shopping–we’ll give you a recommendation at the end of this post that will save you so much time and headache. Aside from finding software with InDesign compatibility, a common complaint regarding InDesign file translation involves retaining the layout and format. Because InDesign files by nature are more heavy on design that a typical plain-old Word document, formatting retention is important. This includes retaining image placement, text wrapping, font properties, spacing, line breaks, paragraph breaks and more, within the translated file. Can you imagine if your software ruined the layout or formatting of your file once you ran the translation? This would cause you to need to go back and redesign the file. So much for productivity, right? The solution to this is to make sure the professional translation software you use contains automatic translation file formatting. Again, we’ll point you in the right direction at the end of this post. It’s important to note that no matter what translation software you use, you should hire a translator (or ask a bilingual colleague) to check your translation for accuracy. While translation software is quite powerful, it still runs on machine translation. And machine translation isn’t perfect–sometimes even for certain phrases you’d think would easily translate. Idioms, slang and certain cultural references likely won’t be relevant or appropriate for the audience reading your translated material. 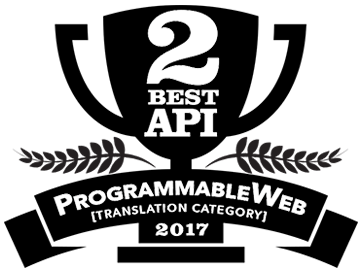 With all that being said, you should always choose professional translation software that allows for collaboration and post-editing of the first-draft machine translated file. Soon, you’ll know exactly where to look for that perfect platform. We wrote this post assuming most people reading this have an InDesign file in hand and ready to be translated. But if the file has not been developed yet, please read our post on How to Get the Best File Formatting with Translation Software. This will help you understand how to build and design a source file so that the translated file format and layout will look as similar as possible. For instance, you’ll get tips such as, “leave enough white space” because certain languages (e.g. German) tend to have a higher character count in their words than other languages. And this is just one of multiple matters that could potentially throw off your beautiful design. The best way to translate an InDesign file with translation software is by saving it as an IDML file and then using Pairaphrase to translate it. Pairaphrase is easy-to-use online translation software for enterprises. It helps you manage your translations and collaborate with colleagues across the world. It even learns your words and phrases so that you never need to translate the same word or phrase twice. This will save you a significant amount of money and time in the long run. One of the reasons Pairaphrase is the best way to translate an InDesign file is that our translation software will encode your file when you upload it for translation. The purpose of this is to retain as much of the formatting as possible. With Pairaphrase, you reduce the likelihood that you’ll need to rearrange images or spend time reapplying font properties or editing the spacing. Another reason Pairaphrase is the best way to translate an InDesign file is that it secures your data. With our software, you never again need to worry about sending your information through a tool that could expose your data. With Pairaphrase, your files and data are encrypted. Not only that, but we never share, index or publish your data. It remains 100% confidential. Now that you’ve learned the best way to translate an InDesign file, why not get started with Pairaphrase today and select a plan that fits your organization?